BT has yet again upped its broadband game by offering new customers not only fast fibre broadband for a bargain price, but also a BT Reward Card with up to £70 on AND a free Google Home worth £129. Yep, you can get all of that, while paying just £29.99 per month for Superfast Fibre, or £39.99 a month for Superfast Fibre 2. But, you can only get it until 11:59pm on Thursday April 25. What are you waiting for? Find more of the best BT broadband deals for April. Simply a pre-paid credit card you can use anywhere that accepts Mastercard, the BT Reward Card is chip and pin instead of contactless. You shouldn't be stuck for choice in terms of places to use it, as around a million retailers and restaurants around the world accept it. Just remember to claim your Reward Card within three months, otherwise you may lose out on the money. GOOGLE HOME – IS IT WORTH IT? 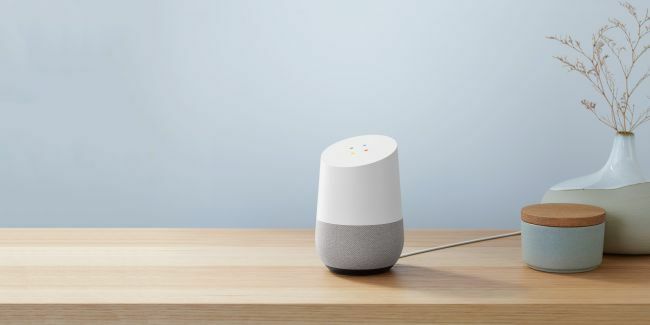 Perfect for those who are new to the world of smart devices, the Google Home is an affordable speaker offering good sound quality while being easy to use. The smart device has the ability to play your favourite song, tell you the weather every morning and keep your shopping list up to date. A smart (see what we did there?) and easy way to make your home more intelligent without forking out a lot of (or, in fact, any) money, it's the perfect addition to your home. Our friends over at Tech Radar even rated it four and a half stars in their Google Home review. If that deal doesn't tickle your fancy, then let us take you on a journey to find the cheapest broadband deals this month. Whether you're looking for broadband only, fibre broadband or broadband and TV, we've got you covered. Type in your postcode below and get browsing. Check out our deals page for all of the discounts we think you should know about.